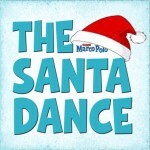 Marco Polo’s Santa Dance Hits iTunes! The Santa Dance has now gone live on iTunes! Click the album cover and start doing the Pepto!